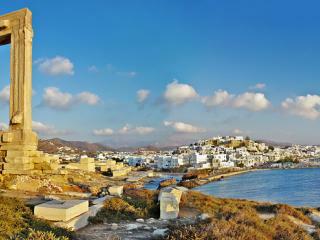 Daily flights connect the island of Naxos with Athens. Ferries from Piraeus port are very frequent and take around 8 hours to reach the island. There are also faster hydrofoil and catamaran services, which will cut the travelling time by almost half. Naxos can be combined with visiting other islands in the area and has regular connections with Mykonos, Paros, Santorini and Crete.